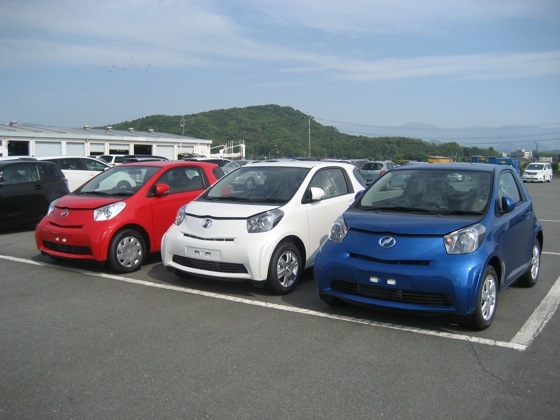 Scion IQ Forum > iQ Colony Discussions > iQ Car Talk > any diesel iq owners? I'm going to buy iq 1.4 d4d but don't know any person (even google does not know) who has diesel. I took a test drive with 1.0 gas iq and it was surprisingly good. Only acceleration was a little bit poor, but 1.4 would fix it. My current car is Yaris 1.4 d4d (190Nm torque) and iq has just the same engine but with 6th gear. Re: any diesel iq owners? I have one, and it's quite fast with the 6 speed and all. nice to hear that. have to wait 4 months still because of leasing contract. wow! haven't seen red or blue before. hope you like your diesel. I really hope us in the US hear something soon. Does anyone know the specs to this engine as in length width height weight etc.? Because i have a toyota corolla with a 521 in it and for my first car its a little impractical, my plan is that my brother and i are going to put a 5.9 cummins in it, but i thought i would weigh my options, i was wondering if a 6.6 would toyota corolla under the hood like the 5.9 will, the 5.9 will fit just fine, i just think it would be cool to put a 6.6 in there if i could, that is if its a good engine, id like to put a little power through it someday, the fuel injection pumps are good, and injectors can be modified, custom rods can be made, but do they have a good crank?? This latest technology allows dentists to scan, design and mill a permanent diadem for patients in few minutes. I'm new to this issue and you helped me.